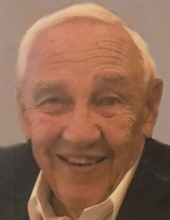 Age 83 of Owosso passed away Friday January 25, 2019 at Hospice House of Shiawassee County. Funeral Services will be held 11am Wednesday January 30, 2019 at the Christ Episcopal Church with Reverend Russ Merrill officiating. The family will receive friends at Nelson-House Funeral Home on Tuesday January 29 from 4pm to 8pm. Ronald was born August 27, 1935 in Owosso, the son of Albert and Beatrice (Kramer) Ellenberg. He graduated from Owosso High School and attended Lansing Community College and GMI. He married Connie Poirier in Angola, Indiana on July 19, 1957. Ron proudly served his country in the Army Reserves. Ronald was a member of the Owosso Country Club, the Studebaker Club, Shiawassee County Humane Society and the Arts Council. Ronald worked at Universal Electric as a Chief Draftsman and Account Representative, Midland Ross and Modern Engineering. Ronald is survived by his wife Connie; three sons, Rick (Tracey) Ellenberg of Sherwood, Wisconsin, Lance (Jennifer)Ellenberg of Owosso and Craig (Laura) Ellenberg of Owosso; three grandsons Devin Ellenberg, Maxwell (BreAnn) Ellenberg and Rowen Ellenberg and many other loving family and friends. He was predeceased by his parents and his infant son Timothy. Memorial contributions are suggested to the Shiawassee County Humane Society or the Alzheimer's Association. To send flowers or a remembrance gift to the family of Ronald Lee Ellenberg, please visit our Tribute Store. "Email Address" would like to share the life celebration of Ronald Lee Ellenberg. Click on the "link" to go to share a favorite memory or leave a condolence message for the family.